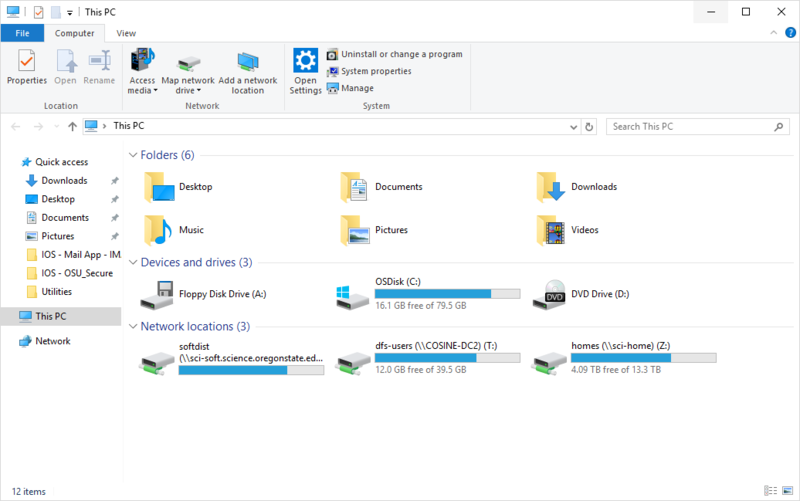 How do I connect to the T: drive on Windows? How do I connect to the T: drive on MacOS? How do I connect to the Z: drive on Windows? How do I connect to the Z: drive from MacOS? 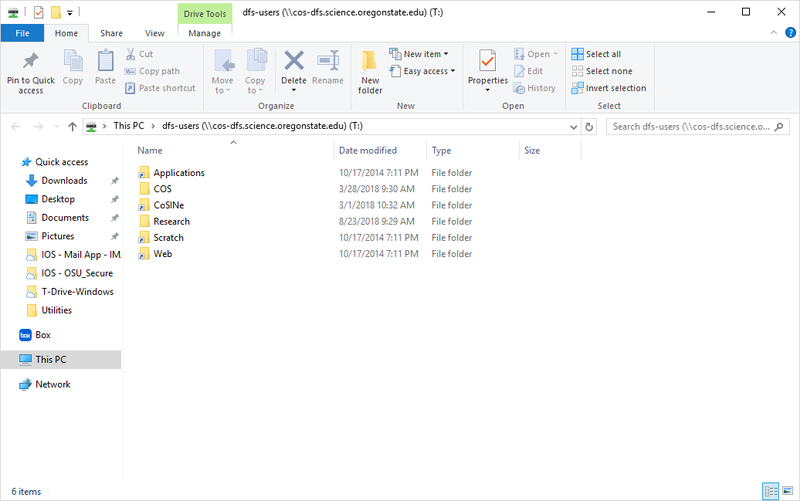 Note: While you may be able to see all of the folders, you will only have access to certain folders. If you don't have access to a folder that you should, ask your department to submit a ticket to us. Step 3.5: Click connect again. 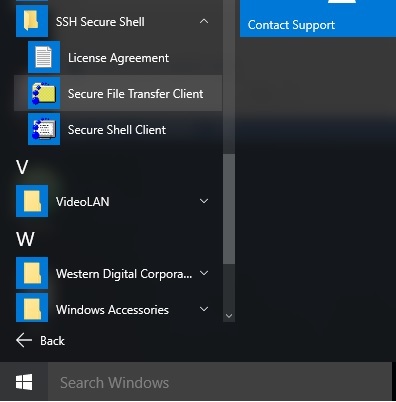 Step 1: Open the start menu. 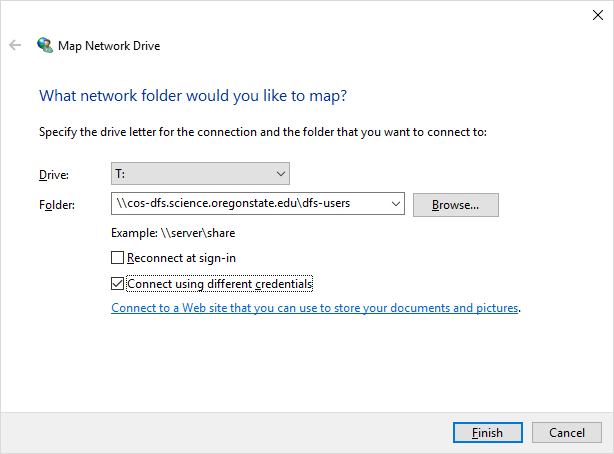 Then right click on Computer and select map network drive. Note: These files aren't shared with anyone and you only have 10GB. If you need more space, let us know. 2. Once the program opens, click on file in the menu bar and then click on “quick connect”. 3. 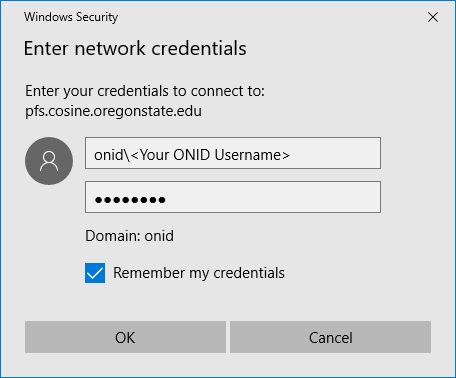 Enter host as shell.cosine.oregonstate.edu along with your username. 4. Click yes to saving the new host key.